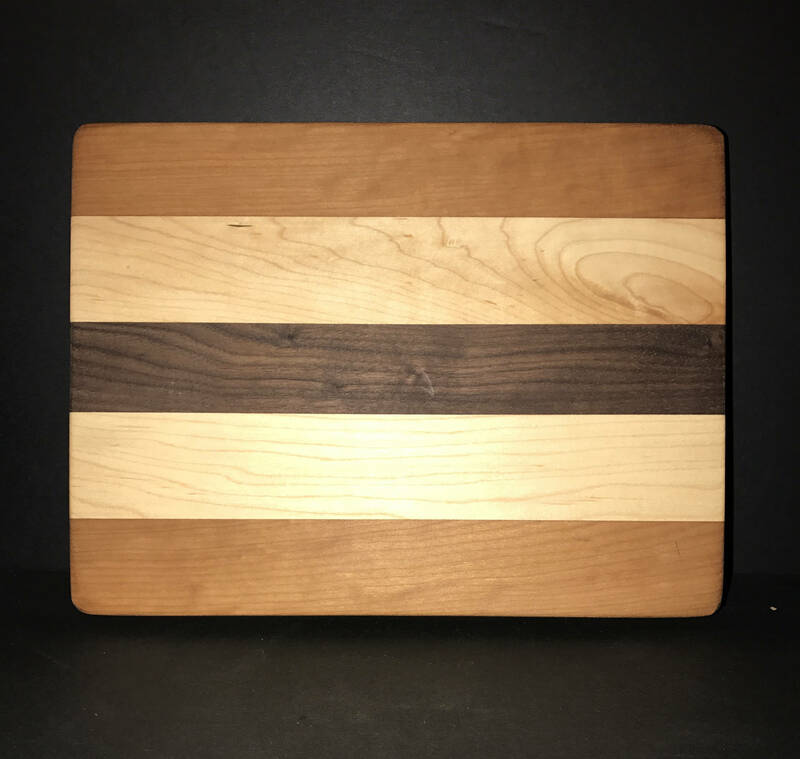 These Blank 9X11X1.25 inch bar block cutting boards can be personally designed for very long lasting memories. They are created by a New Hampshire Artist "Knot Again". You can add a logo and/or up to 4 lines of print (25 Characters per Line). You can add 2 line of engraved print above the logo and/or 2 lines of engraved print below the logo. If you decide you don’t want to add a logo, and only want to add engraved print, no problem! You can add up to 10 lines of engraved print (25 Characters per Line) without a logo. (IMPORTANT: It is very important to choose the proper add on selections in the "Personalized Add Ons" drop down box.) If you only want a logo, choose "Logo Only" in the “Personalized Add Ons” drop down box. If you want to add a logo and engraved print, choose “Logo + the appropriate number of Lines of print that you want to have engraved. If you don’t want to add a logo, but want to add engraved print, choose “No Logo + the appropriate number of lines of print that you want to have engraved. Then write what and where you you want the engraving to be located. (Example Given: Please add the IAFF Logo I sent to you, and Add “Somersworth” above the logo, and Add “Local 2320” under the logo). It is VERY IMPORTANT to Email a copy of the logo, to jandbshaffer [!at] metrocast.net, or start an ETSY conversation and send a jpeg form of the logo to me. Also MAKE SURE that the logo isn't copyright protected. If it is, I will not be able to download it and engrave it. Also choose the proper font you want to use. If you want to use a font that is not listed, please choose “Other” in the “Font Style” drop down box. Then write what font you want to use. As long as I can get it, there will be no charge for choosing your own “unlisted” font. If you leave me a phone number for a text, a valid Email address, or start an ETSY Conversation, I will email you a photo of the finished product before I ship it (Personalized Products Only). That will give you the opportunity to approve the product before it ships.